Benefits of Having Your Own Hair Extension Website & Business! Have You Thought of Starting Your own Hair Extension Website? Owning a Hair Extension Line is a great industry to be in. With so many women wanting to get thicker and voluminous hair, especially after seeing ads and movies with celebrities who flaunt thick hair, makes this business a booming one. It’s great if you want to capitalize on this growing trend. Recent studies show that the market has not slowed down, even though the stock markets may fall or the economy may falter. This shows that come what may, women need to feel good at the end of the day and having great hair is one way of boosting confidence in the way you look. It has soon left the ‘luxury’ tag behind where it was part of a fashion industry. It has now entered the world of ‘necessity’ where women view it as a vital part of their day to day look. The landscape of the hair extension industry has changed dramatically over the years with the survival of the fittest being the norm of the day and the smaller players getting pushed out of the scene. To be on top of the game you have to get with the times and evolve with the ever changing landscape in order to thrive in the industry. We work with hair stylists, salon owners and entrepreneurs to launch their own hair line. This previously required huge startup capital for inventory. Our Dropshipping Hair Extension model has changed the industry! Start your own hair line with your own Hair Extension Website! With many salons mushrooming all over the country, it is very important to get visible in all markets. People may know about you in your area, but you have to look beyond of what is, and look forward to what may be. One big step in achieving more visibility for your business is to have your own hair extension website. This enables you to reach out to a wider audience and target market. Word of mouth can only get you so far. While that is a very reliable and great way of marketing your business, having your own website may help in boosting sales and definitely in getting more attention to your hair extension business. Today’s Age is the internet and Information Age and having an online presence can help your business become successful. You now have the power to reach out to an audience from all over the world. Even if that may not help you as much as you think, it certainly helps a lot of people from all over the country to get to know about you and your business. Offer information about your business and the products you sell. Inform the audience about potential deals and discounts that they may receive. Visitors tend to look for information, and your website should provide that information. Gone are the days when a website was just one single page with the basic of information given. 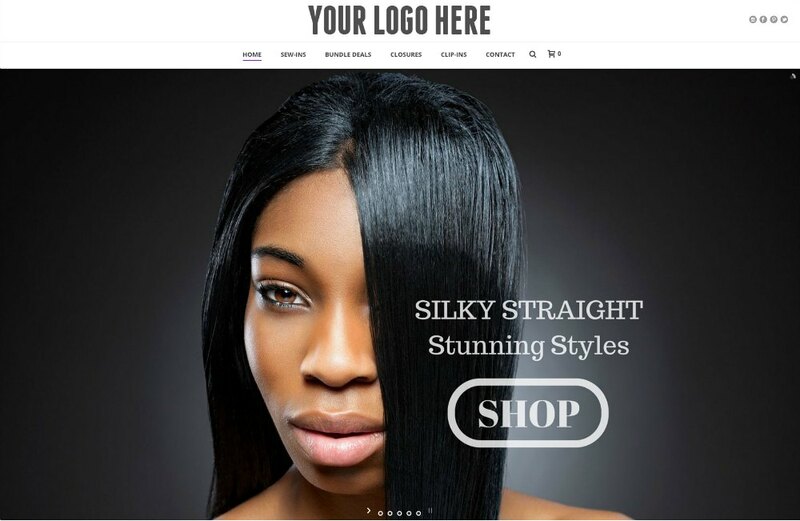 One of the benefits of a Hair Extension Website from Dropship Bundles is that we have all our products, lengths, photos and import sections like “About Us” and “Contact Us” created for you! To take a look at the demo of this site just check out Your Hair Brand. Your website has to be interactive and informative and needs to look business like and reputable. People will visit your website looking for a certain product or service and you will have to deliver. Why having your own hair extension website is a great idea is because you don’t have to meet the clients face to face in order to make a sale. Sales can happen any time of the day or night because that is the wonder of the internet. Offering Bundle Deals is a great way to increase your average order sale! Many people who are looking to invest in hair extensions may not know what they are, or how they can help a person change their look entirely. Having a full body of hair can make the world of a difference to a person and your website should address that. With hair fall becoming such a huge concern, there are many more people online looking for solutions that don’t come with a huge bill and also for a quick fix solution. Hair extensions are a great way of giving volume to your hair as well as having the stylish quotient. Getting information on the market that your business attracts – demographics, geography etc that could help you decide for further expansion plans, if any. Firstly, you cannot just list your products up with their price and expect the sales to start pouring in. A website needs to be more than just a sales page. Certain websites work because they are not only a point of sales where a visitor can check out a catalogue of products, but also a hub to get information on the products themselves. You have to answer a lot of questions like what hair extensions are. Many of the visitors to your website may be curious about your products but will not have a clear idea on what they are. It is also these visitors that can be converted into potential clients if they receive all the information they require. Offering great service is a crucial part of setting yourself apart from other hair companies! You should also give a few articles on how the various types of hair extensions can be applied. There are different types, depending upon the type of look you want for yourself and each have to be applied differently. There should also be information given on the life expectancy of each type of hair extension. It is necessary to share the knowledge o that people feel that they know what they are getting when they purchase a product from you. You should be able to offer information that answers any questions the visitor may have regarding your hair extensions. If you are involved in any other marketing avenues for your business, linking them up to your website would be a great idea and would bring more traffic to your site. As mentioned above, you need to answer any questions that have not yet been asked. Your homepage is the first place your visitors will land at, so the design of your homepage should be clean and easy to navigate through. Don’t add clutter to this page as that may confuse the clients who are browsing through your website. Avoid offering too much data on the homepage and let tags or other windows open up after clicking for more information. The longer you keep a visitor on your website, the chances increase of the possibility of a sale being made. Even if a sale is not made, just the fact that your website interested someone is good. This is a start from which most websites start their growth. These types of visitors could become repeat visitors and they could either ‘follow’ you or subscribe to your newsletters. This is one step closer to growing your custom audience. Why would you want to take on the hassle of building your own website up from scratch when we can do that for you? It takes a lot of time, money and effort to create a new website that already features the products that you will want to sell. The sister company of Dropship Extensions specializes in offering hair extension websites to interested businesses who want to see their business grow online. This company, Dropship Bundles has everything ready for you to just buy the website and it’s ready to bring in the customers. 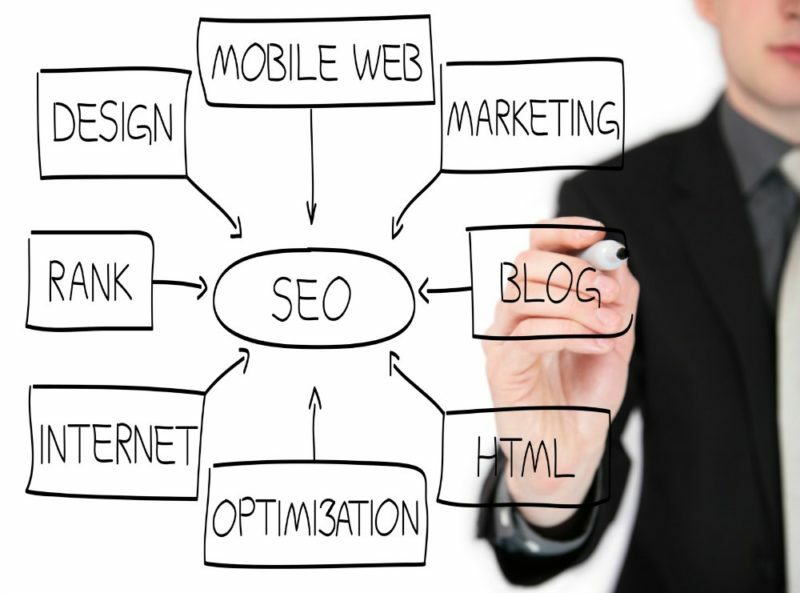 To build up your business online, you should ensure that your content is valid, relevant and SEO friendly. Good Search Engine Optimization helps get you to be amongst the top listings in a search which means that there are higher chances of having visitors coming to your website. You have to build a power brand in the hair extension industry with exposure to a global market place. This means that the sooner you realize that selling hair extensions is only one section of your business, the faster you’ll learn on how to evolve with the times. Make sure you are getting links to your website! You have to make strategic moves in offering services and the only way that people will come to know about them is through your website. Another quick way of ramping up your sales is via affiliate marketing. This allows your brand to be marketed while the product will be drop shipped to the customer. You should rely on good reputable affiliate programs that are known for their quality and white labeling capabilities to avoid any future problems. Accepting payment is another strategy that needs to be defined very early on when creating your hair extension website. With so many cases of credit card fraud occurring every day, you have to safeguard your company. If you accept payments via credit card, can a customer with wrong intentions use the product and then dispute the payment made? You stand the chance of invoicing a business only to realize it’s bankrupt. Would you use escrow which holds funds until both parties are satisfied? Always focus on quality rather than quantity. Understand your market so that you can gain a reputation for selling high quality and reliable products which are value for money. Professionalism: Having your own website communicates that your company is flourishing and doing well. Having a well designed website is a sign that your company is successful. The past three years has seen the amount of internet users grow in leaps and bounds at a growth rate of 200% each year for the past three years. Almost all companies that are listed on the top 500 companies have a website. Low cost way of advertising: It is a relatively cheaper way of advertising your company, considering the amount of money you put in for building it and for the huge reach it has. Piggyback Advertising: Conventional methods of advertising can burn a hole in your pocket. Unless if you have an unlimited budget, these forms of advertising will come to an end. This is where having a website will greatly help you. Just put your web address on any piece of advertising so that viewers can visit your website to see what it is all about. Increase your market reach: Even though your company may be local or confined to a certain geographical area code, having a website increases the reach and also the sphere of influence so that if and when you decide to go international, you’ll have an idea on which areas have interested visitors. Making life convenient for clients: In the end, the client matters. When you start your own website, you are making it convenient for them to shop online, get info on your products and leave feedback or suggestions without leaving the comforts of their own home. Accessibility: Unlike brick and mortar stores which have an opening and a closing time, a website has no such timing limitations which makes it easy for customers to order or purchase products no matter what time of day or night it is. Access to information: Having a website allows you to keep a track of your visitors so that you can monitor the progress of your website. You also can update your website at any time, unlike redoing a physical store. Website Links: If you want to spread the word about your company online via viral marketing, you should have many websites linked to yours. If you have good content on your website, interested people will link their sites to yours which in turn will bring more traffic, visibility and make your page rank higher in searches. Forge better relationships with your customers: Now you can communicate with your clients directly via email. This step is important in building a good relationship with your customers in which more information about products or your business could be shared via email. Long Term Clientele: Having a client that is loyal to your brand and buys from you time and again is valuable for your business. Having your very own website will help your business grow by getting new clients that stay with your company.